PI's ultra fast steering mirror platforms are based on frictionless flexure guides and high-speed solid-state piezoelectric drives. 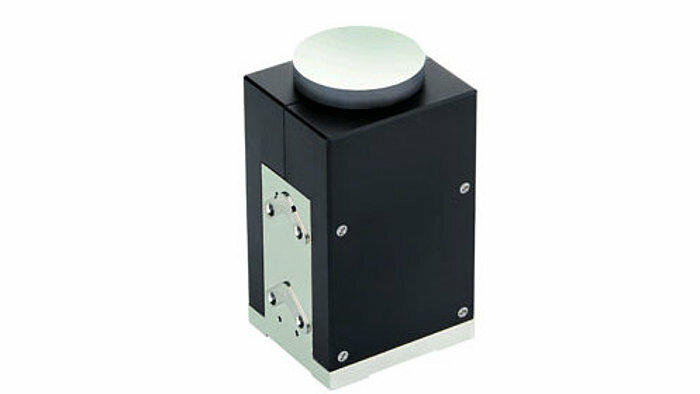 These compact devices can provide integrated pitch and roll motion with a single moving mirror. They are faster than galvo-scanners and voice-coil driven beam steering systems (also available from PI) and can be used in both static and highly dynamic operation (e.g. scanning, tracking, drift and vibration cancellation). 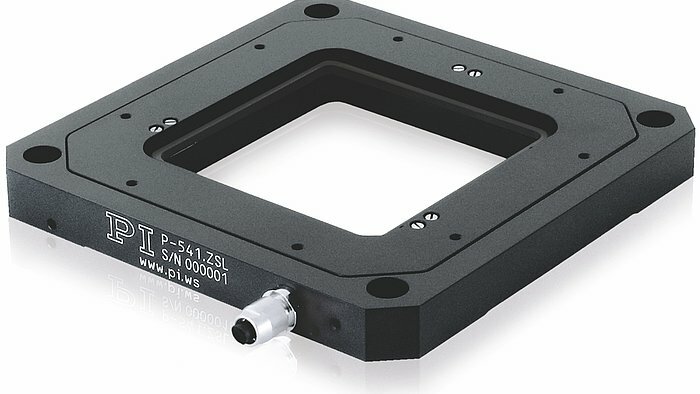 Advantages of the PI steerable mirrors are: parallel kinematics design (coplanar multiaxis motion), fast response (sub-millisecond), high resolution (up to nanoradian range), long travel ranges (up to 3 degrees deflection). PI's parallel-kinematics multi-axis steering mirrors use only one platform/mirror for all axes. 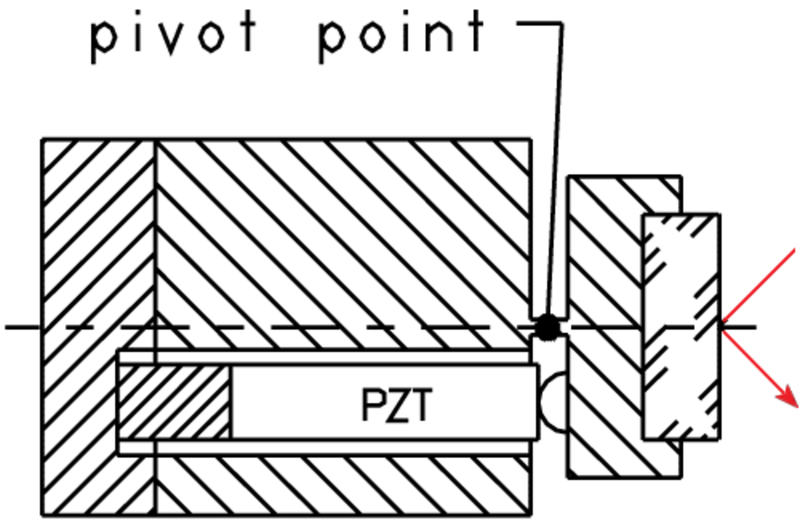 There is one common pivot point and no polarization rotation, an important feature for many precision optics applications. Applications include scanning, image stabilization, laser welding, semiconductor test & manufacturing, laser beam steering, astronomy, two photon polymerization, medical applications. 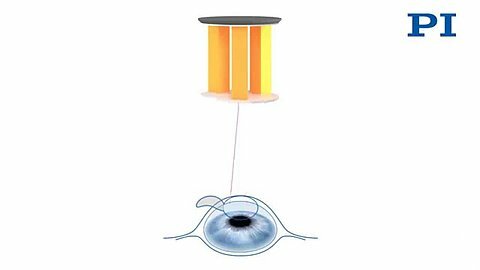 Application video: Laser beam steering in eye surgery. 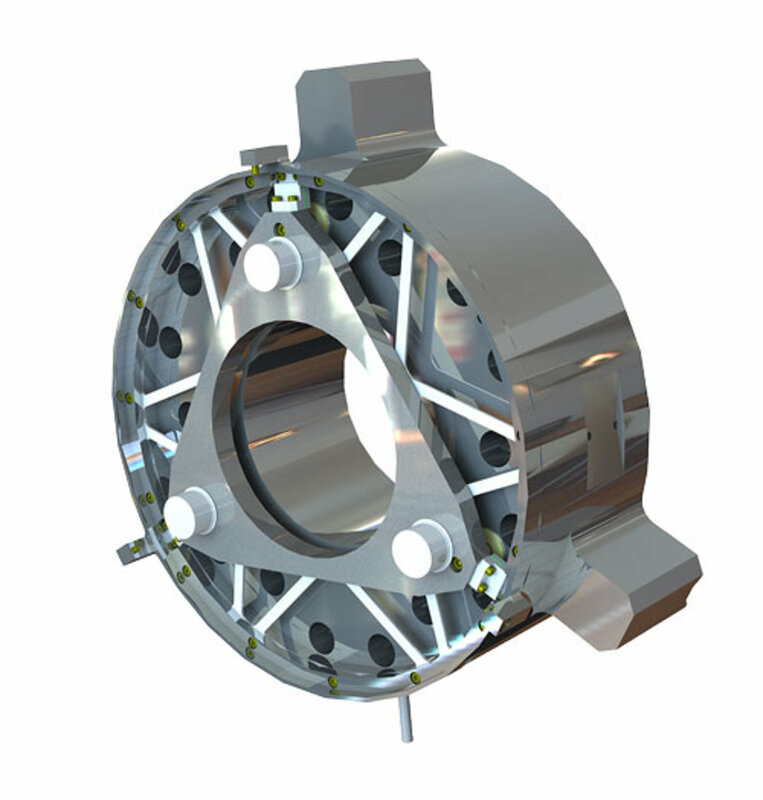 Talk to our engineers about your custom steering mirror project. 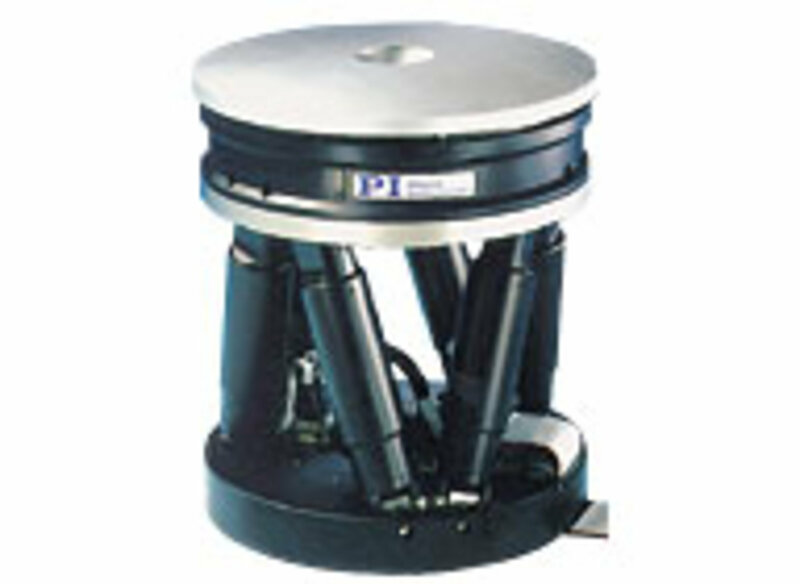 PI offers a large range of fast steering mirrors (FSM) from compact systems for laser beam steering up to large units used for astronomy. 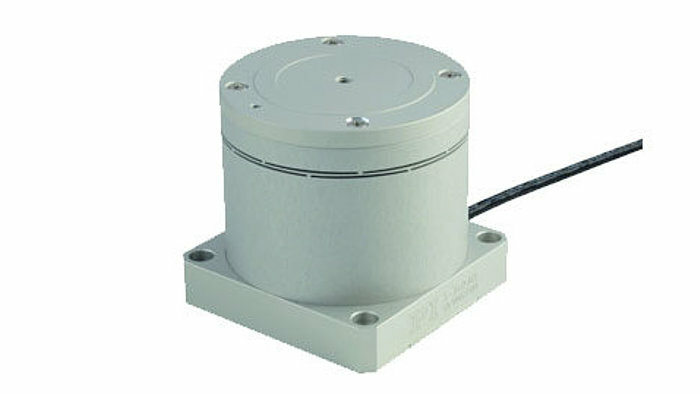 The most compact approach is based on a flexure guided platform driven by a single actuator. For differentially driven platforms see “Tip/Tilt System with Differential Piezo Drive (Tetrapod) and improved Thermal Stability” below. 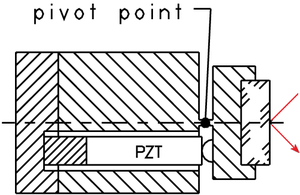 The platform is supported by one flexure and pushed by one linear piezo actuator. 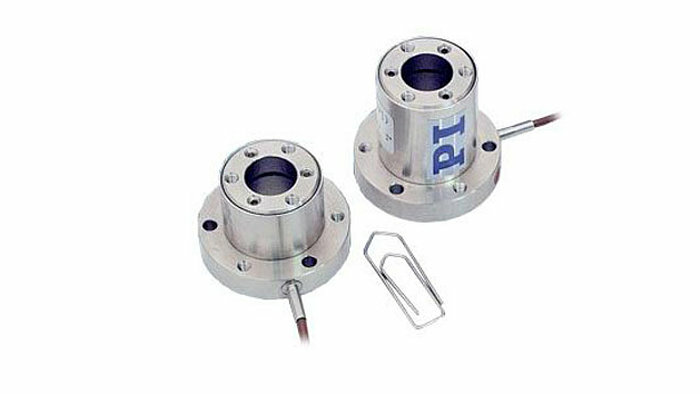 The flexure determines the pivot point and doubles as a preload for the Piezo actuator. 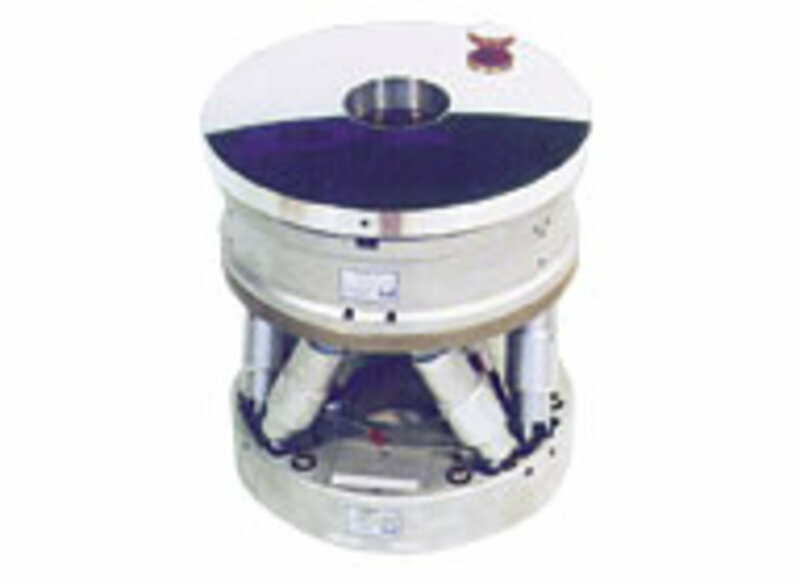 Single flexure, single piezo actuator (PZT) tilt mirror platform design. 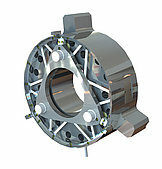 Advantages are the straightforward construction, compact dimensions and low costs. 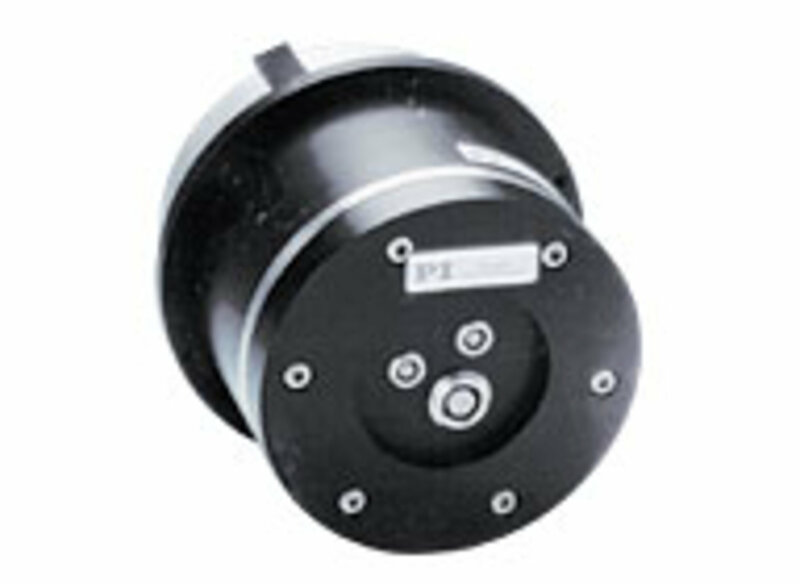 If thermal angular stability over a large temperature range is a critical issue, a differential piezo actuator drive system is recommended (see below). 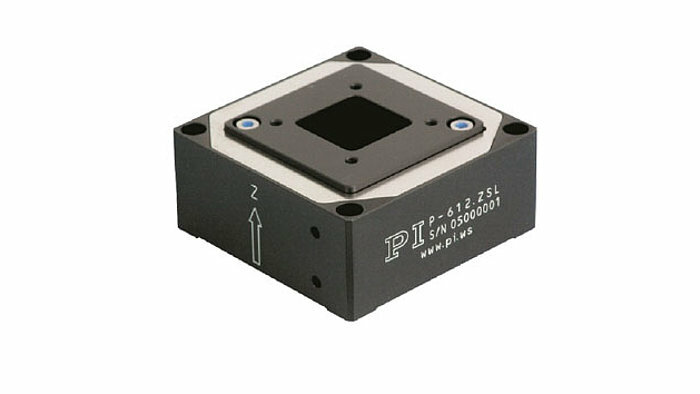 Multi-axis piezo tip/tilt mirror platforms from PI are based on parallel kinematics with a single moving platform for all directions of motion. The common platform approach achieves higher linearity than can be attained by cascading single-axis mirrors in succession (e.g. with most galvo scanners). 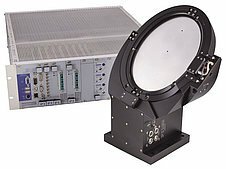 The single platform design also avoids polarization rotation and is much more compact than a multi-stage approach. 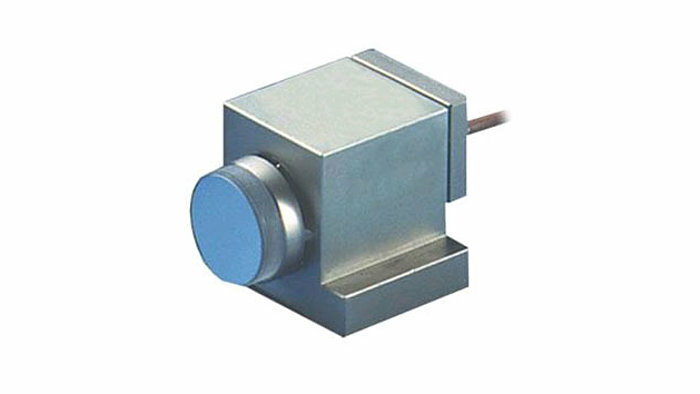 Piezo-actuated tip/tilt mirrors and platforms are suitable both for highly dynamic operation, such as tracking, scanning, image stabilization, elimination of drift and vibration, and for static positioning of optical systems and samples. 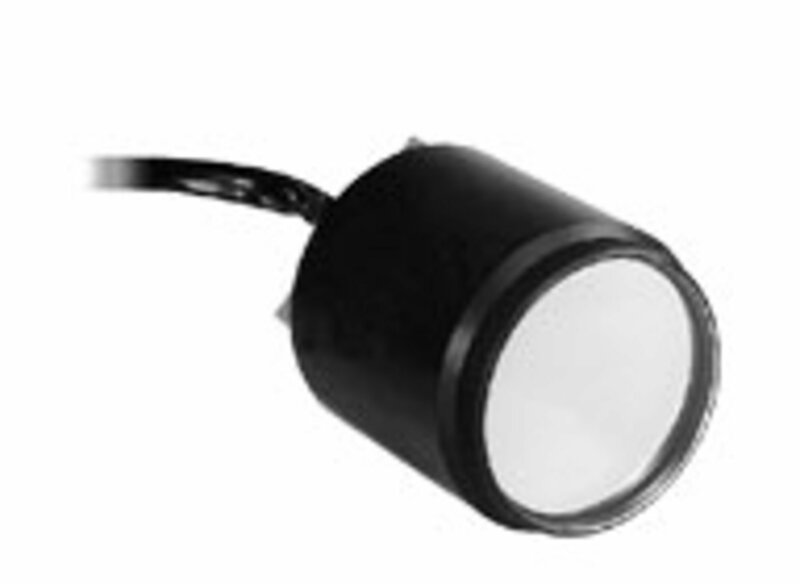 Piezo steering mirrors can provide very fast response times in the sub-millisecond range and resolutions down to nano radians. Direct-driven units achieve higher dynamics, while designs that take advantage of on internal flexure motion amplifiers provide for larger optical beam deflection up to 100 mrad. 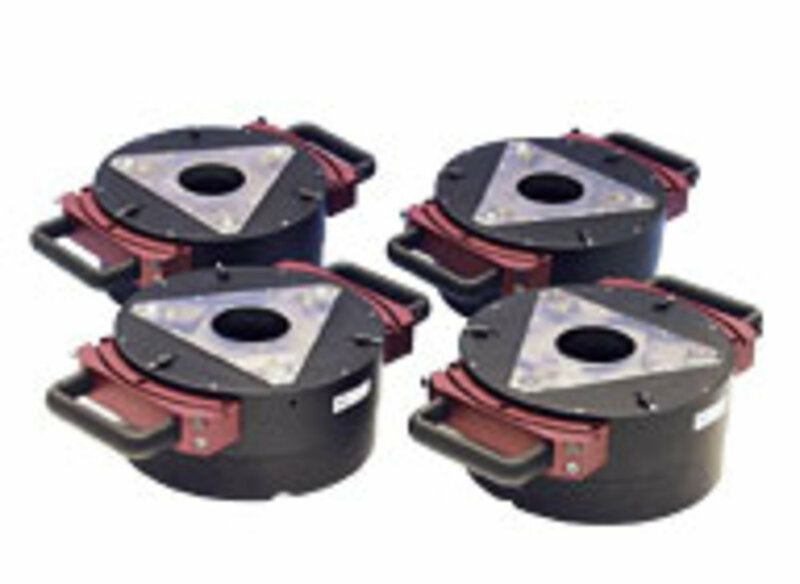 The platform is driven by three piezo actuators that are located in 120° angles to one another. 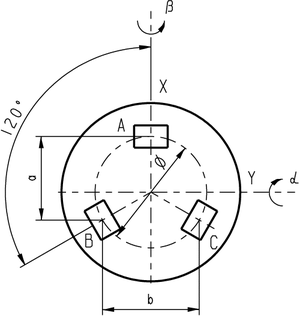 By means of coordinate transformation, the motion can be split among the different actuators. 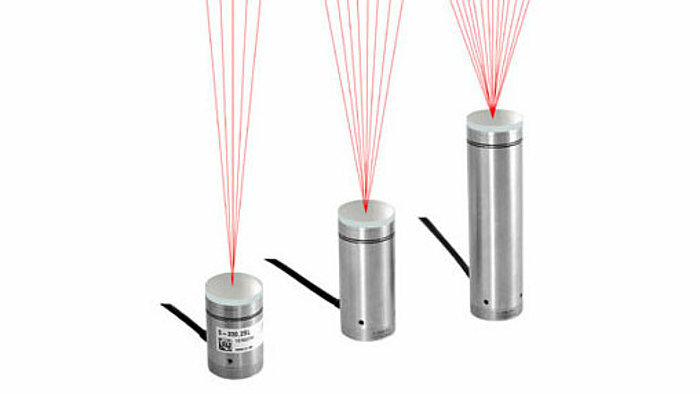 In addition to tilting, the platform may also be used linearly in Z direction (piston motion), useful for phase shifting and correcting optical path length differences. 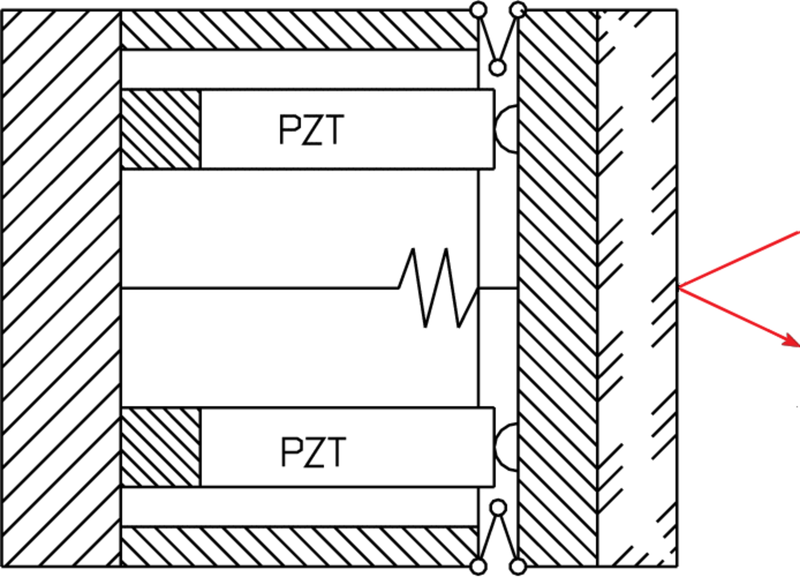 The platform is driven by a total of four piezo actuators - two pairs with the θX and θY tilt axes arranged orthogonally removing the need for coordinate transformation. Each pair is controlled differentially, i.e. 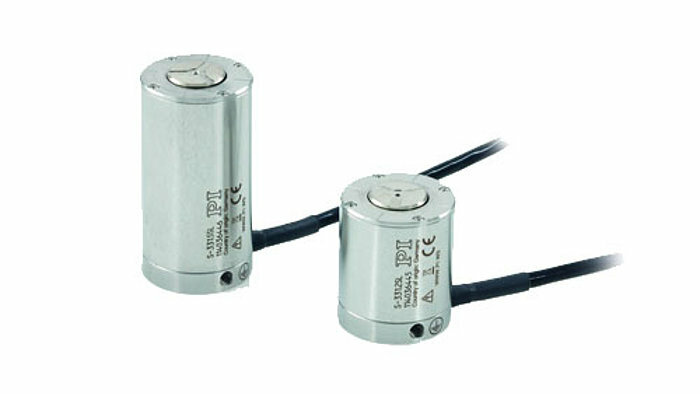 one actuator extends while the other one retracts by the same amount. 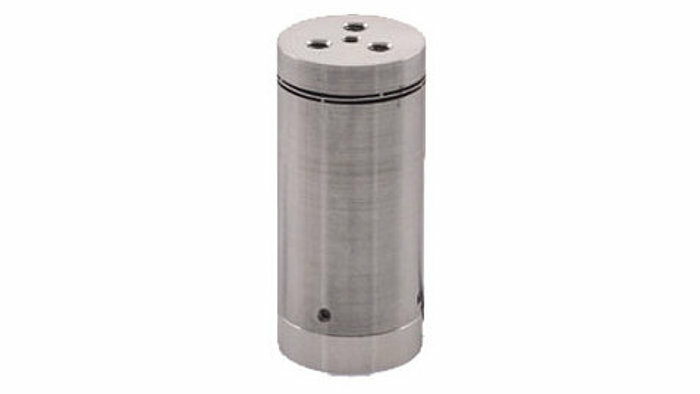 The advantage of this approach is the improved thermal stability over a wider temperature range compared to a simpler, two actuator design. 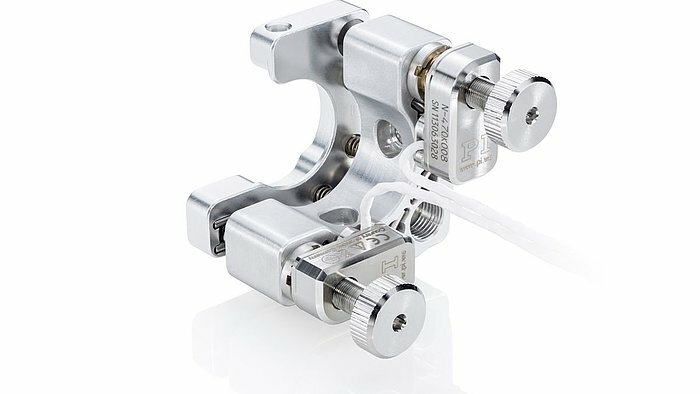 Just as the tripod, the differential version guarantees an optimum angular stability over a large temperature range. 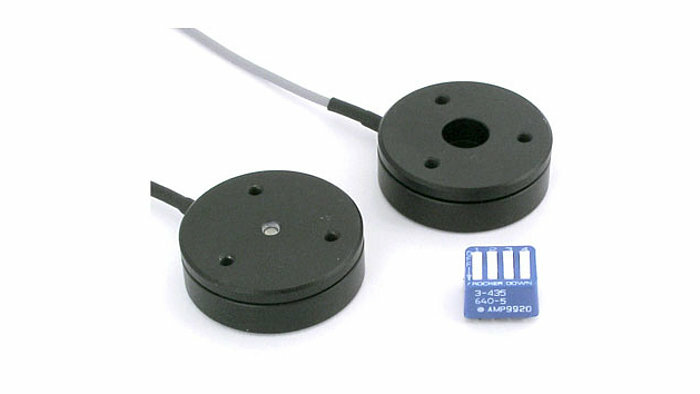 For position controlled versions, the differential evaluation of two sensors per axis provides an improved linearity and resolution. 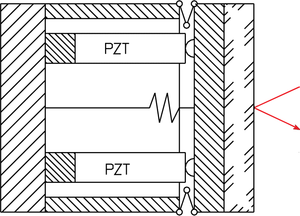 Design principle of a differential piezo-actuator (PZT) steering mirror. 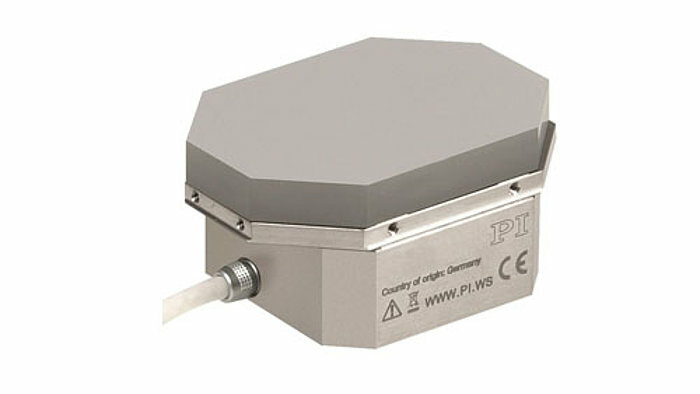 This construction features two piezo linear actuators (operated in push/pull mode) per axis, supporting the platform. 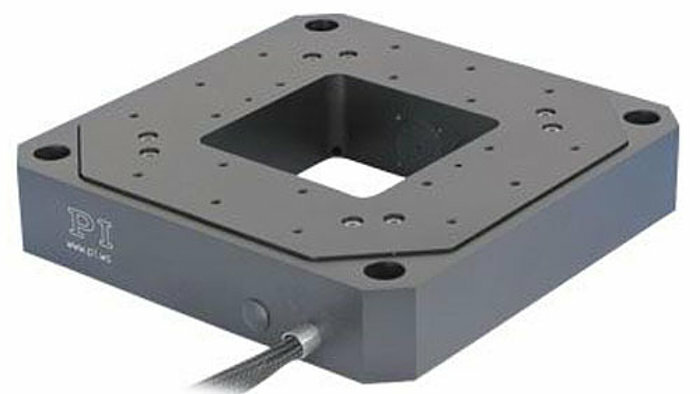 The case can be machined from one solid metal block with FEA (Finite Element Analysis) designed wire EDM (Electric Discharge Machining) cut flexures. The flexures provide for zero friction/stiction and excellent guiding accuracy. 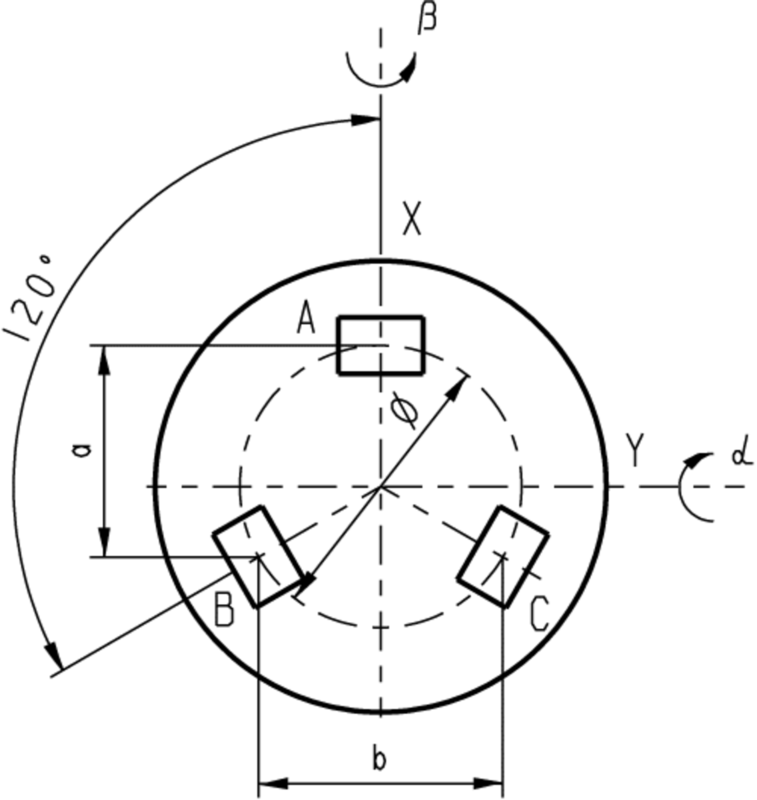 The differential design exhibits excellent angular stability over a wide temperature range - temperature changes only affect the vertical position of the platform (piston motion) and have no influence on the angular position. After the operating voltage is removed the platform returns to the center position. 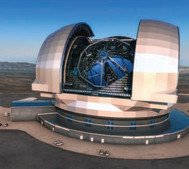 Resolution in large earthbound telescopes is limited by atmospheric turbulence and vibrations. 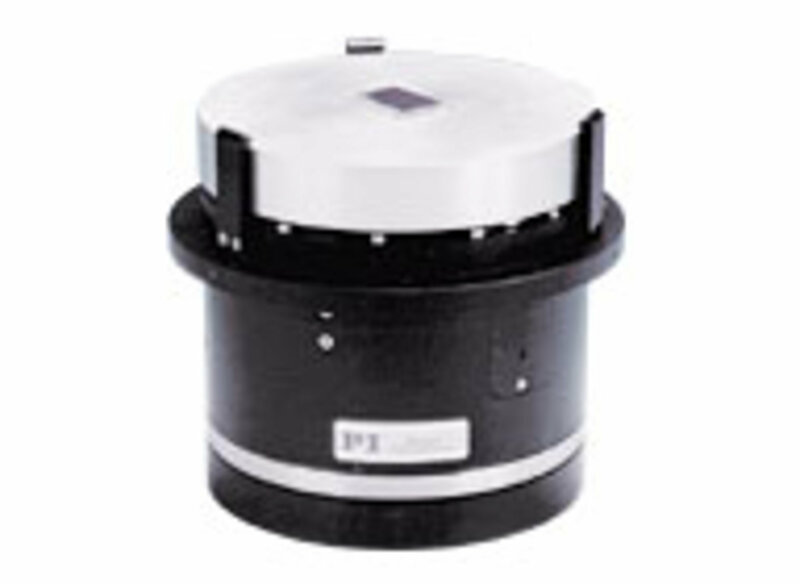 During the last 35 years, PI has designed a number of large-aperture high bandwidth tip/tilt systems for image stabilization. Piezoelectrically driven active secondary mirrors can improve the effective resolution up to 1000% by correcting for these image shifts in real time, especially during long integrations with weak light sources. 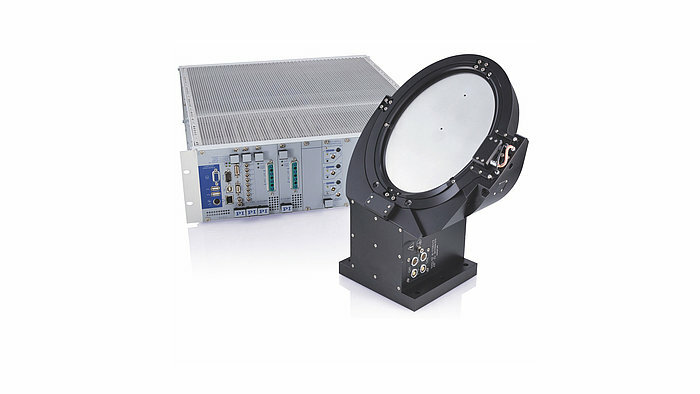 This fast tip / tilt platform corrects the image jitter at an M5 telescope mirror. A high bandwidth and extremely high resolution is essential to achieve a high image quality. View of the 8.2 m Subaru infrared telescope in Hawaii (from SubaruTelescope.org ), printed with permission of NAOJ. 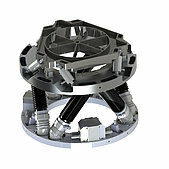 Active tip/tilt mirror for the Subaru telescope, rear view. 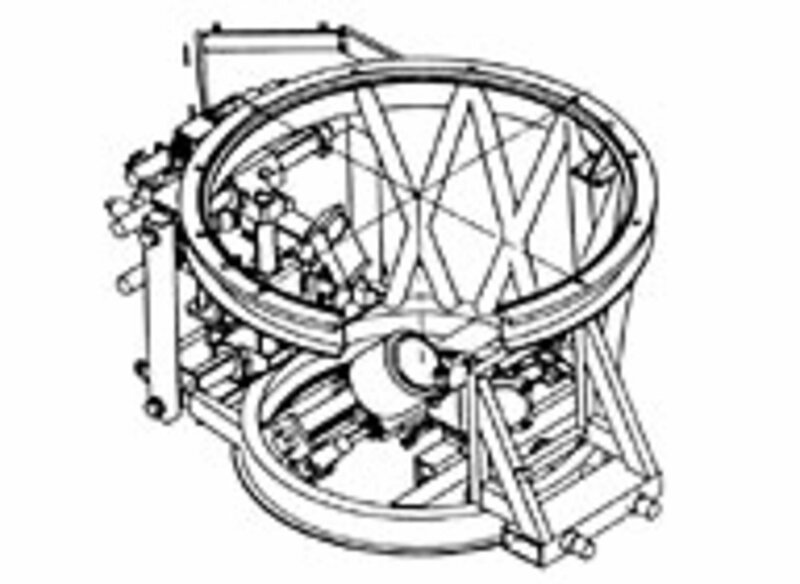 Telescope structure with active secondary mirror (from "Progress Report on DISCO: A Project for Image Stabilization at the 2.2 m Telescope," F. Maaswinkel, S. D'Odorico and G. Huster, ESO, F. Bortoletto, Istituto di Astronomia, University of Padova, Italy). 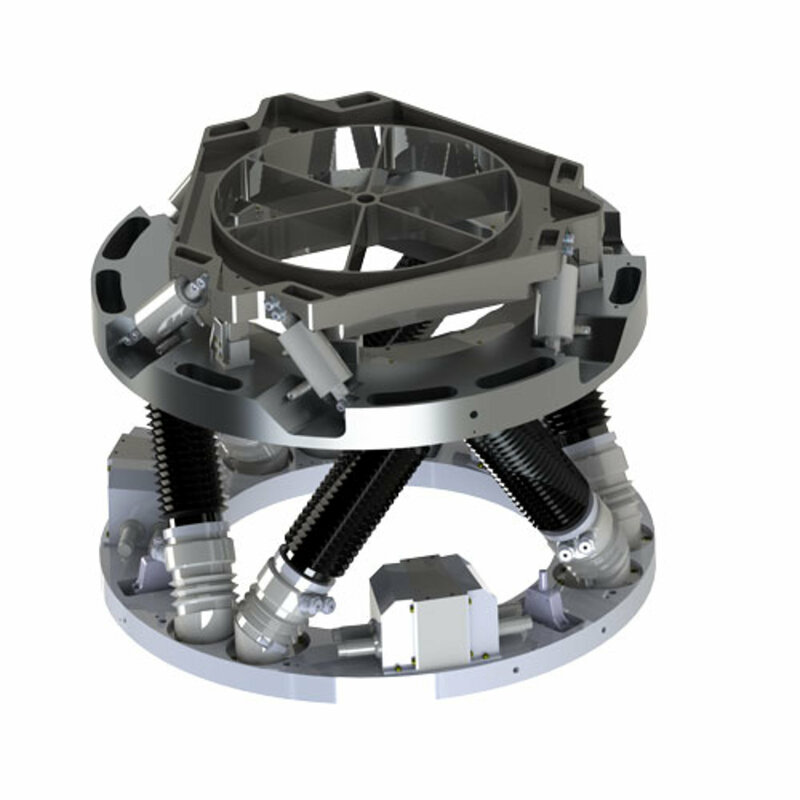 This double piezo hexapod combines in one system the coarse and fine travel for alignment of the M2 mirror of a large telescope. 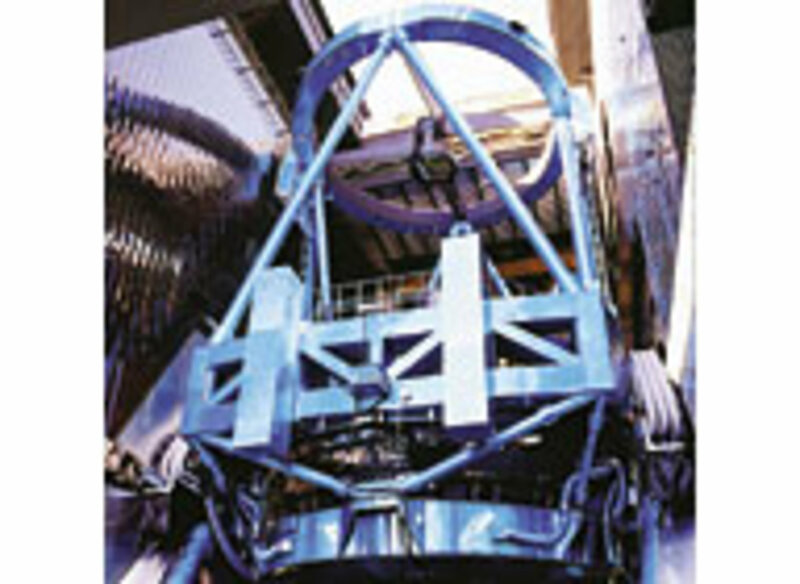 Due to the inertia of the large mirrors and the high accelerations required to correct for image fluctuations, significant forces can be induced in the telescope structure, causing unwanted vibrations. 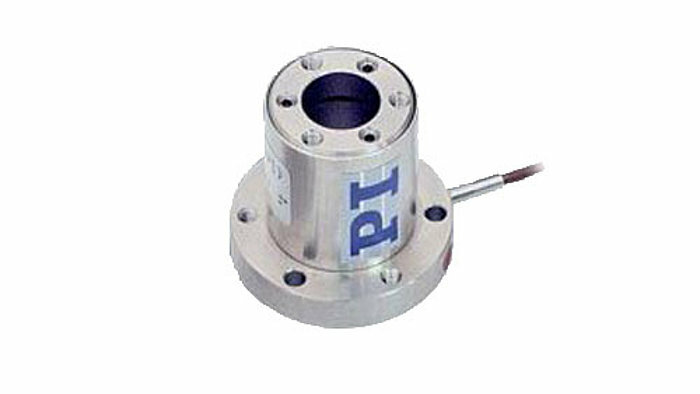 PI has developed momentum compensation systems integrated into the tip/tilt platforms which cancel undesirable vibrations and thus offer significantly better stabilization than uncompensated systems.